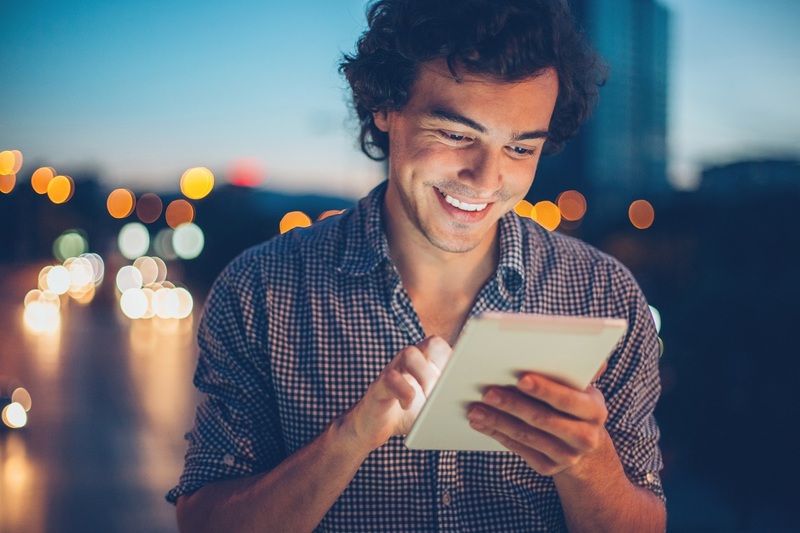 For two decades Wi-Fi has changed the way the world operates and communicates. Wi-Fi technology, based on the Institute of Electrical and Electronics Engineers (IEEE) wireless communication standard 802.11, has continually improved, with each generation bringing faster speeds, lower latency, and better user experiences in a multitude of environments and with a variety of device types. 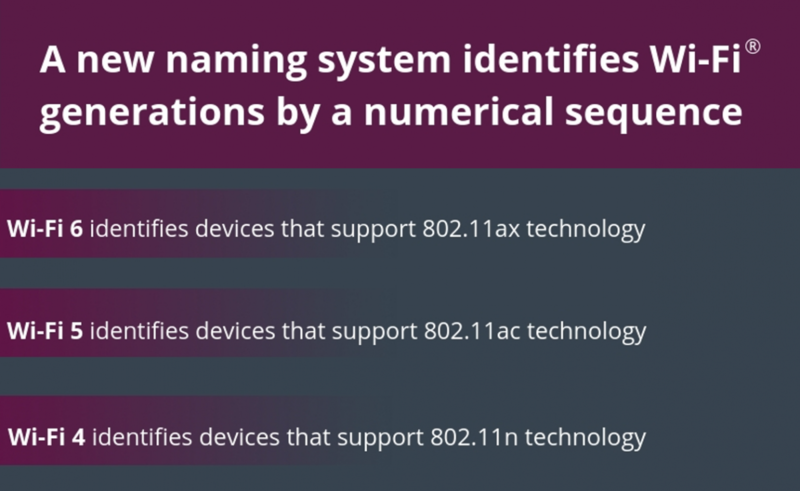 To help users identify devices that provide the latest Wi-Fi experience, Wi-Fi Alliance has introduced simplified generational names that may appear in device names and product descriptions. The latest generation of Wi-Fi devices, based on the 802.11ax standard, are known as Wi-Fi 6 devices. The majority of devices shipping today, based upon the 802.11ac standard, are identified as Wi-Fi 5. Wi-Fi devices may also use a user interface (UI) icon on the display to identify the generation of a network connection. The icons will display a Wi-Fi signal indicator and a numerical representation of the connection. Icons will adjust as users move between Wi-Fi networks that provide a different user experience. When a user device displays a signal indicator icon accompanied by the number 6, indicating a Wi-Fi 6 connection, that device is utilizing the most advanced version of Wi-Fi available. To learn more about how to use the generation names and user interface visuals, please review the Generational Wi-Fi User Guide.